"The price of solar-generated electricity continues to plummet, and the technology is taking over as the least expensive form of energy in more and more parts of the world," says solar cell researcher John Atle Bones at SINTEF. "We're at an economic tipping point that favours solar cell technology," he says. "Good illustrations of this from the USA include the Berkeley Energy Group/EDF Renewable Energy project, which recently shut down a coal mine and established a solar park on the same site. In California, the authorities have recently decided to introduce roof-based solar panel standards for new housing," explains Bones. Perfecting the manufacture of so-called monocrystalline silicon (the material that forms the basis of a solar cell's ability to generate electricity) has been preoccupying the research community at SINTEF for many years. 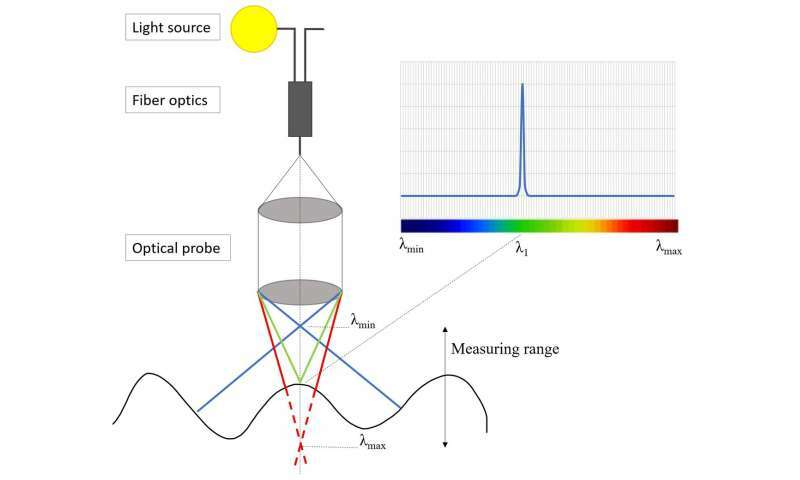 Researchers have now focused their attention and, more to the point, that of their sensors towards the important quartz crucible that plays one of the key roles in the manufacture of solar cells (see fact box at the end of the article). "The better the raw materials we have, the more efficient the solar cells will be, and this in turn will reduce the environmental footprint of the electricity the cells generate," says Bones. "So it's important that the quartz crucibles we use are of the highest quality. Currently, quality assurance of the crucibles is carried out by visual inspection, but this has its limitations," says Bones, who is leading the project. This dedicated sensor package has given the robot both super sight and the characteristics of a detective. Quartz crucibles are built up of different layers with varying structures that combine reflectivity and transparency. To reveal a crucible's properties, faults and defects it is necessary, literally, to search in depth. "Before we built this robot we studied crucibles in order to identify the connection between their quality and the properties of the monocrystalline silicon end product," says Bones. "To do this we had to be quite brutal," he says. "We applied what are quite simply called destructive methods. This means crushing, grinding up and dissolving the materials in chemicals. Subsequent analyses gave us clear indications as to the properties of the different layers that should make up a given crucible," says Bones. But now they have taught the robot to recognise defects in crucibles without so much as a grain of dust being destroyed in the process. SINTEF' new robot enables a crucible to be guided through a rapid and very accurate sorting process before it is used in the melt furnace. Here it plays one of the main roles in the crystal withdrawal process that precedes wafer manufacture. "The crucibles are typically between 50 and 70 centimetres in diameter and weigh 10 kilograms," says Bones. "It is thus important to be able to utilise them as optimally as possible," he says. "Using a crucible with the wrong properties may result in having to re-melt the manufactured silicon," he says. It functions by responding to the different colours and corresponding wavelengths in the white light spectrum. Among other things, a high-resolution digital CCD camera is also included that can "see" at very detailed scales. This in turn is connected to a machine vision device that enables the system to identify small variations in materials that should not be there. "Among the things we're measuring is the curvature and thickness of the quartz crucible, which is bowl-like in shape," says Bones. "Here, the robot has to adjust its "eyes" at the correct angle for all the points it is programmed to inspect. 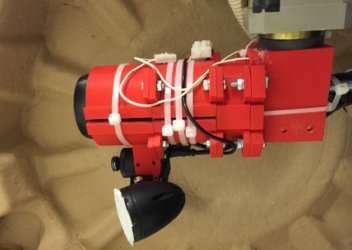 This is made possible using several distance sensors and by carrying out calculations that permit the robot continuously to correct the track along which it moves," he explains. "It gives us extra pleasure to have succeeded in achieving this with limited funding – and the collaboration of NTNU students who have worked on this project as part of their Bachelor's and Master's degrees," says Bones, who is now ready to share the analytical sensor technology with anyone who thinks they can put it to good use. "What would be even better is if someone read this article and decided that's just what I need for my project! ", he says. "Much of what we've achieved here is transferable to other processes and raw materials," says Bones. The role of the quartz crucible in the manufacture of solar cells: A quartz crucible is a bowl-like container, between 50 and 70 cm in diameter with walls about 1 cm thick. The quality of the crucible is very important. If it is inadequate, the end product will be unusable. The crucible is built up of different quartz layers that perform a variety of functions during the manufacturing process. It acts as a container used in the furnaces that melt silicon prior to the production of monocrystalline silicon. As part of this process, a so-called "seed" crystal is dipped into the molten silicon, and a large monocrystalline silicon crystal is then withdrawn from the melt. This crystal withdrawal process takes up to two days. The end product is an approximately two metre-long and 20 centimetre-wide crystal which in turn is used as the raw material for the manufacture of so-called silicon wafers. These wafers are then divided up to produce solar cells.